Discussion began with acknowledgement of how the film could be interpreted as the forerunner to the Slasher subgenre. 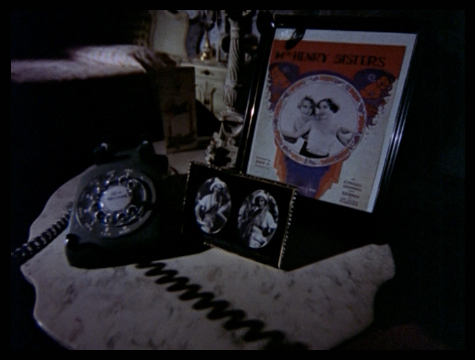 The traits of lone stalker and aspects of cinematography are recognisable when one considers Halloween (1978), especially the opening of Halloween with the POV camera work associating the killer with the viewpoint. There was general agreement on how underrated Black Christmas appears to be, as it is a superior horror film. Focusing on the nihilistic ending, some of the group were surprised and disappointed in how little academic focus there is on this film. Considering writers such as Robin Wood who focus on the nihilistic aspects of 1970s horror, yet fail to mention or reference Black Christmas. Many wondered whether this was because the horror films that define the 1970s were directed by individuals that are now considered ‘horror auteurs’, unlike Bob Clark who went on to direct Porky’s and concentrated on TV work. There was further discussion on the ending to Black Christmas. We were all slightly incredulous that Jess was left alone in the house (especially as Mr Harrison had only fainted and he was taken to hospital!). However, we were generally in favour of the nihilistic ending as it seemed quite fitting to the rest of the film. Attention turned to the voice on the phone and consideration was given to whether it was more than one voice, or whether the stalker was meant to be schizophrenic. Sarah brought up two points. Firstly, whether Billy was related to the Sorority mother, as in the attic were photos of her and her sister. Secondly, whether there was a vaudeville connection (and related to the multiple voices) as the photos (as well as the comments made by Mrs Mac) indicated to a life on stage. All commented on how well constructed the film was and some admired the linking between scenes – how sound and images were utilised to build continuity between scenes, build suspense and lay suspicion around the different characters, especially the male characters. Some of us mentioned how at different points in the film, our suspicions turned on different characters and this was due to the structure of the film. It was generally agreed that Black Christmas is a genuinely creepy film, especially the image of Clare suffocated in plastic, rocking in the rocking chair while the cat licks her face. Many thanks to Kat for choosing the film, introducing it and providing the above excellent summary of our discussion. Do, as ever, log in to comment or email me on sp458@kent.ac.uk to add your thoughts. 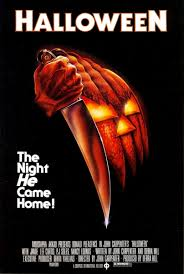 This entry was posted in Summary of Discussion and tagged Bob Clark, Halloween (1978), Horror, Melodrama, Robin Wood, Slasher subgenre, Summary of Discussion, Suspense, The Gothic by melodramaresearchgroup. Bookmark the permalink. The following has been contributed by Simon Fitzjohn who got in touch with the group to share his insights. Simon is currently writing a book, to be published by Hemlock, on the director of Black Christmas Bob Clark. As far as your discussion of Black Christmas goes, you have made some keen observations. Warners also wanted Clark to change the ending, having Clare’s boyfriend Chris revealing himself as ‘Billy’ to Jess as she lays sedated in bed at the climax – Clark refused. As for the voices on the phone – it is meant to be one person (Billy), but the voices were done by three people – Clark himself, actor Nick Mancuso and an unknown actress whose name no one can remember! Although Clark insisted things be kept pretty ambiguous, he did reveal that Billy and Agnes were siblings, and that there may have been a baby/abuse involved. The lamentable 2006 remake went down this route and was a much, much worse film for it. In one interview Clark also responded to the ‘Jess left alone’ point you make – he defended himself by saying the police thought the killer was dead, Jess had been sedated and was in bed, and a police officer was still standing outside the house. He stated he also made sure there is some background dialogue of John Saxon etc stating there is nothing more they can do until the State forensic team arrive, so everyone should leave. I’m not convinced, but there you go. As a final point, I would recommend Clark’s ‘Deathdream’ as an excellent watch – a chilling Vietnam War allegory that still stands up extremely well today. Hi Simon. Many thanks for your comments. It’s really interesting to get some extra background info on the production. I’m especially intrigued by the phone voices and the fact three people (including Clark himself) were involved in providing them despite the fact they were all meant to belong to the one person. We’ll definitely also keep Clark’s Deathdream in mind for a later date.